Are you worried about your loved ones who are going out about their safety? What if I say that we can know the exact whereabouts of our loved ones with just one single application? Does it interest you? Then you must continue to read this article. We can now locate our family members by the Fameelee app, which provides an accurate location of your loved ones so that you can relieve yourself from the stress of safety. Not only exact location but also you can know about the battery efficiency, emergency alerts, speed limit control, group and private chats and many more. All the key features are explained as follows. 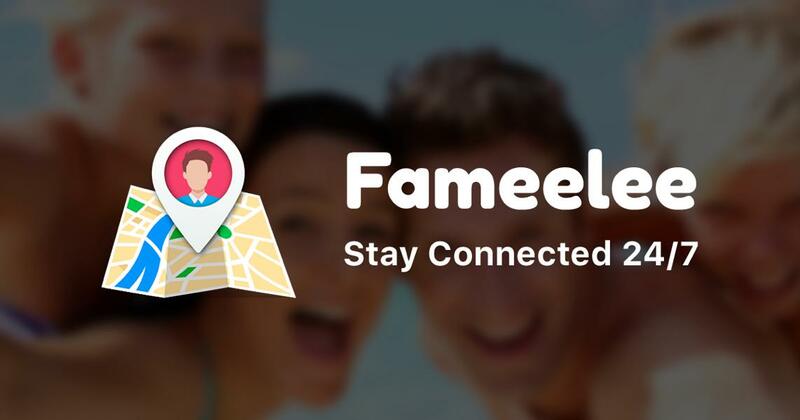 Family locator by Fameelee app provides a simple way to stay connected with your family members and friends all the time. Let’s see how to use it and its key features. 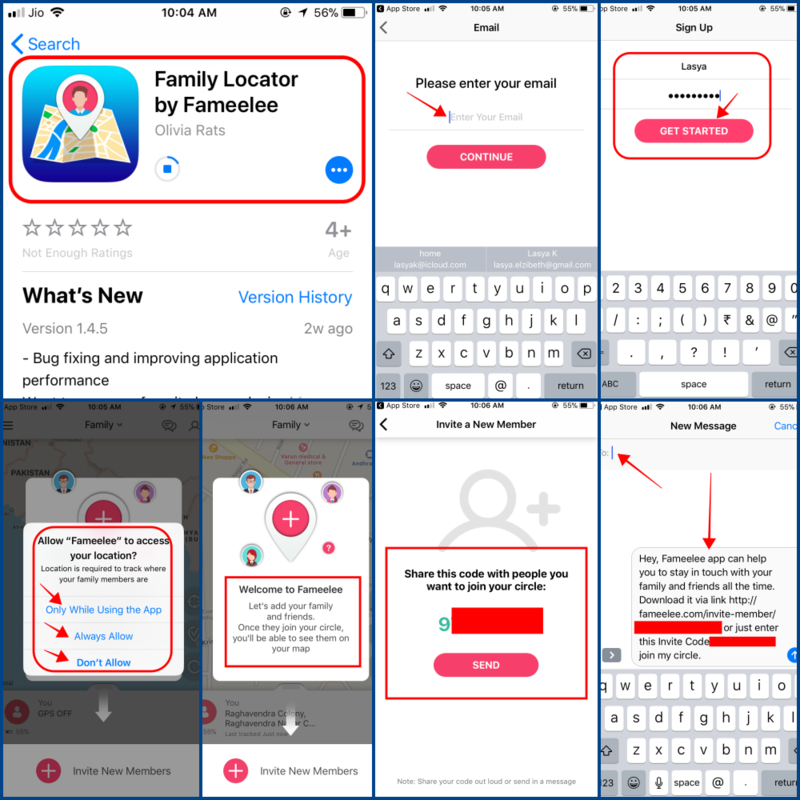 How to use Family Locator by Fameelee? Family locator by Fameelee is available for both iOS and Android devices. Firstly, go to the app store and download “Family locator by Fameelee” app on your device. Open the app and signup using your Facebook, Google or you can continue with Email. I have continued with the option Email. There it asked me to enter my Email ID and Password. That’s it, the account creation is done. After creating your account, give access to your location. You can select to give an access while using the app, always allow or don’t allow according to your requirement. Now, add your family members and friends to locate their location. In order to add, you need to share the code with the people you want to join your circle. 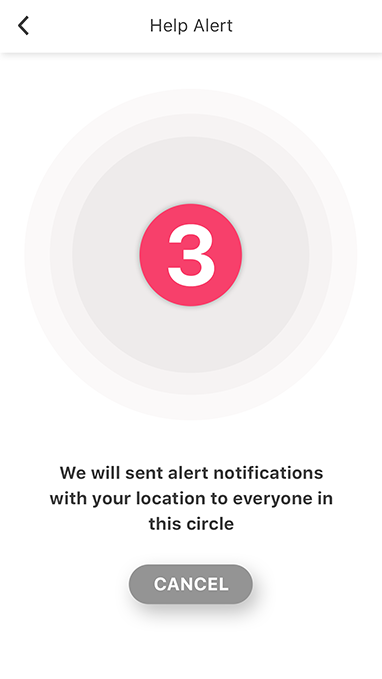 Once they have joined your circle, you will be able to track their location easily. 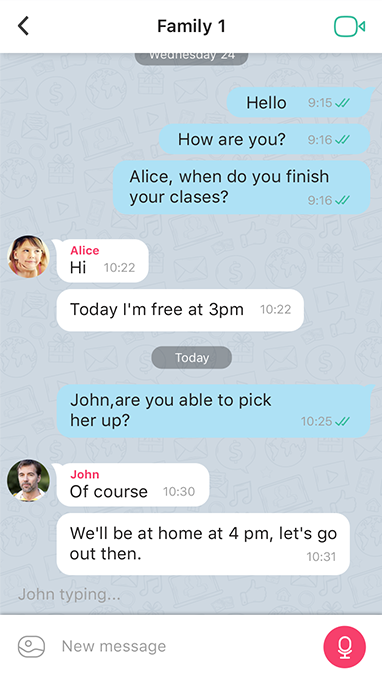 You can also create groups of family members, friends or colleagues whose whereabouts you can track on your app. See the below image for all the above steps to follow correctly. Fameelee app provides almost all the best features to use. 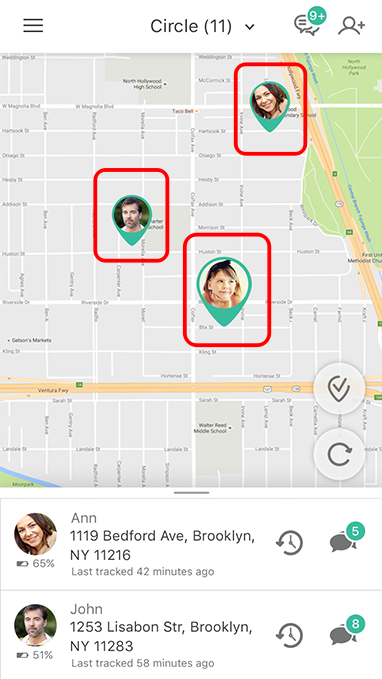 See how each feature of the Family locator app works below. It helps to locate our Family members and friends on the map anytime (24/7). You can stay connected with your loved ones through the circle or a private chats. 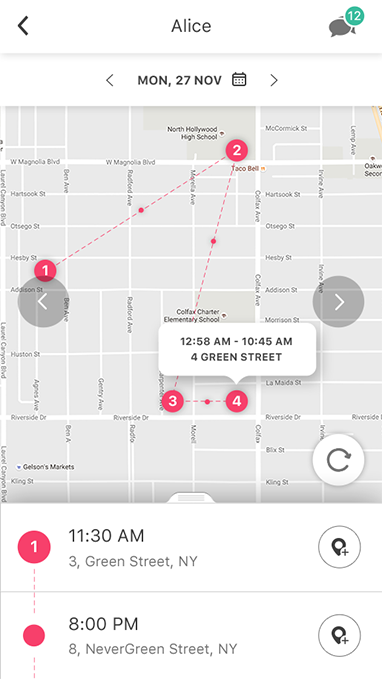 Can access location history of your loved ones. 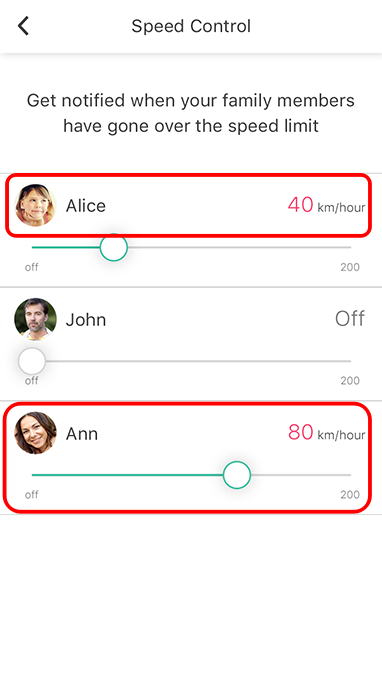 One of the best features of this app is getting a notification when your family member or friend leaves or arrives some specific places. You have to add those specific places in the app. One of the cool features of this Family locator by Fameelee is the Ghost Mode. 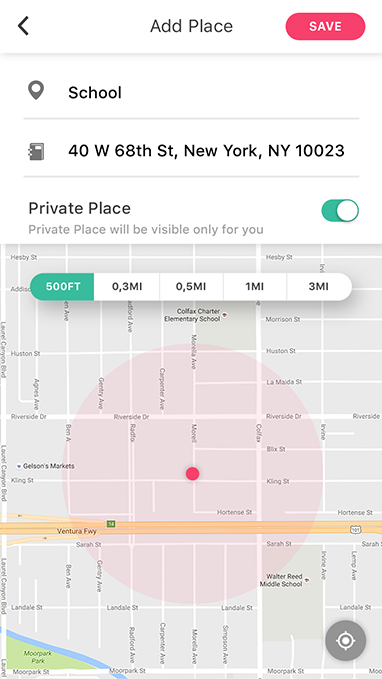 Ghost mode allows the group admin to track others in their circle without giving out their location. 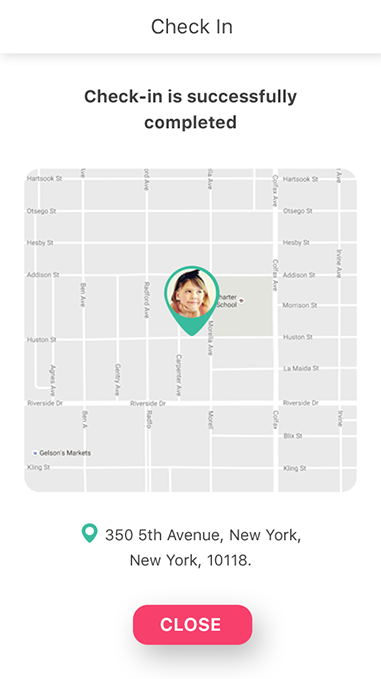 It is very simple and easy to track the exact location of your loved ones. The most crucial feature is letting our family members know when they need help. If someone is in an emergency, they can easily notify you through this app so-called Emergency alerts. 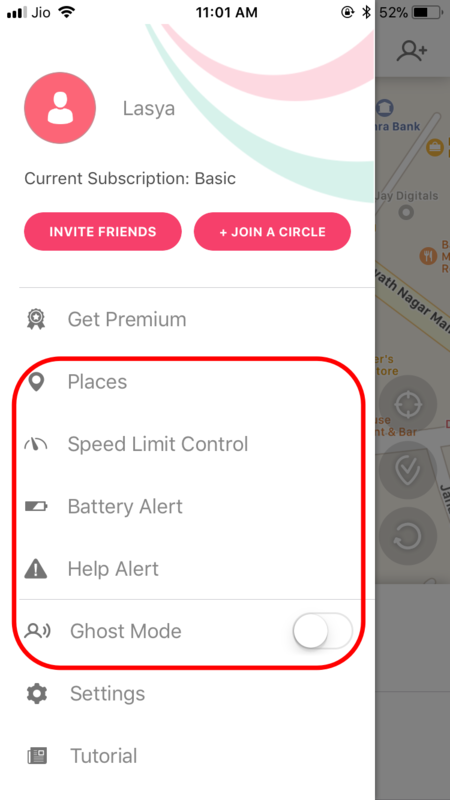 If any of your circle members exceeds the speed limit, you will get a notification with the speed limit (Ex: Ellee 40km/hr, Sheero 50m/hr) shows in a red colour. If any of your circle members phone is discharging, you will get a notification. One of the main features of Fameelee mobile app is we can easily locate the stolen devices. Both iOS and Android users can benefit from Fameelee mobile application. It is very easy to create an account. The user interface is very simple and attractive. Easy to add members to our circle. Almost all the important features are available for free. 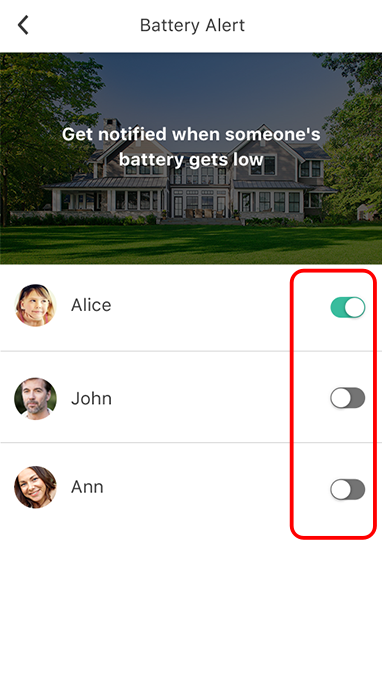 You can track the location of your loved ones only if their phone is in ON mode. If their mobile is switched off, you won’t be able to locate them. So, if someone steals their mobile and turned it off it is of no use. But, it helps to know the last location of where the phone is stolen. There is a chance to know the location instantly as to unlock the mobile or reset it through the computer, the phone has to turn ON. There is no way to delete a group. If you want to leave you can remove yourself from the group. Premium Fameelee Plus cost us $19.99. Whether this is an advantage or disadvantage is up to you. Real-Time location tracking with 5m accuracy. You can use Video chat. With the premium version, the ads won’t display in the middle of the app. I have been trying this app for the past few days and I can say that it has great prospects and utility. I would like to recommend this app to each and every individual to try at least once to experience all the key features. Once you have tried this app, you will easily get to know how useful it is to us in our daily lives. Coming to rating I will give 4.3/5 as there are few cons which have scope for improvement. Check out the family locator to know more about the app. 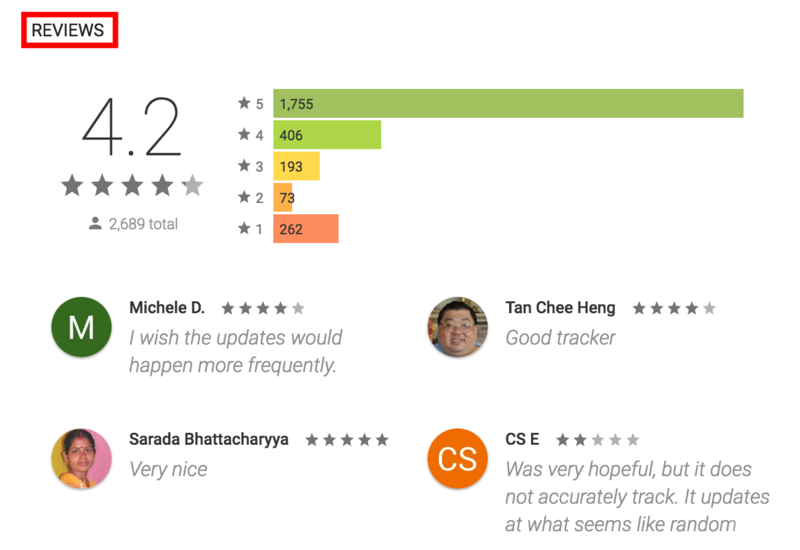 These reviews and ratings are from the Google Play Store users. Family locator by Fameelee app is simply amazing, isn’t it? I hope this article will help you to locate your loved ones and stay in touch all the time. If you have any queries regarding this app and its features, let us know them in the below comment section. We will get back to you as soon as possible to solve all your queries. Would you like to add any other important points to this story? Then write them to us through our contact us page. If you have tried this Fameelee app before, share your experiences in the below comment section in order to help our users to know more. What did you like the most about the Family locator by Fameelee mobile app? And Why?